Dubai, UAE – This month marks the launch of Lux Crawl, Dubai’s first luxury all encompassing nightlife experience. 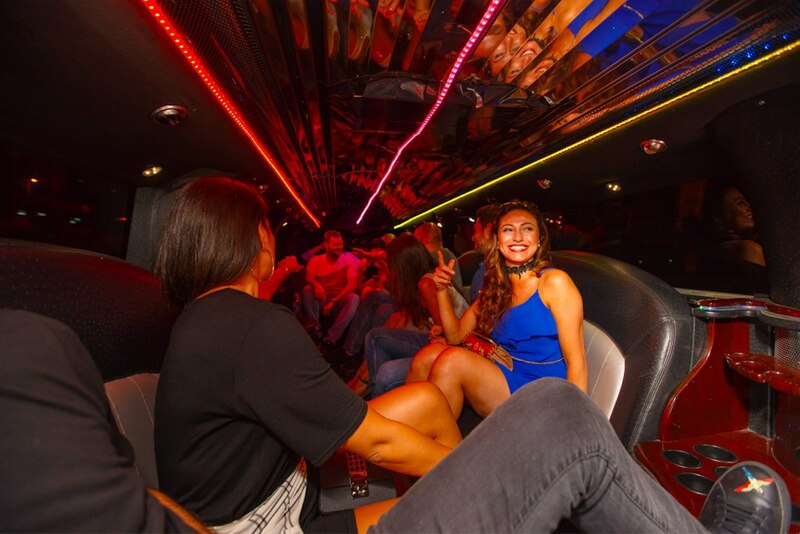 Lux Crawl treats guests to some of Dubai’s hottest venues, transported in style with luxury limousines and VIP service, completed with drinks, games, prizes, ‘party hosts’ and more. Lux Crawl founders, Stefan Berger and Dan Sterling, noticed through their many years of living in Dubai that the amazing array of venues can be a great opportunity for planning a nightlife experience spanning several locations. “Living in Dubai for over 20 years and having worked extensively in events, Lux Crawl was created out of a vision to enable residents and visitors to experience the ultimate night out in Dubai. Around each corner is a venue symbolizing Dubai’s opulence and diversity. With the various spots around, it provides an incredible avenue for us to treat guests to a fun-filled evening, and offer a truly unique “Dubai-style” experience. We incorporate lavish stretch limousines, VIP treatment, table service, competitions and other fun surprises along the way. Our ultimate goal is to take people on a journey which they will never forget,” they said. Ideal for weekend get-togethers as well as special events, Lux Crawl offers set packages for every occasion, as well as an option to customize the “adventure” for each group’s needs. Currently, Lux Crawl has an extensive and diverse list of partner venues, from which guests are able to create their own tailor-made experiences. The introductory Silver Package includes premium beverages, ranging from specialty cocktails to house grape and hops, across two exclusive locations, with brunch prizes and luxury limousines ushering guests in style to each destination. Whether it’s a group of friends or someone new to the city, Lux Crawl provides a way in which people can come together and experience the wonders of Dubai’s nightlife scene. Partner bars include Mahiki, Hotel Cartagena, Penthouse, Atelier M, Lucky Voice, Tribeca, and Nikki Beach all carefully curated to enable guests to select from a diverse variety of Dubai nightlife favorites. Pricing starts at just AED 299 per person.